Donkeys, mules, horses, and oxen, they moved a nation, pulled plows, partnered in the hard work of early colonial life. Hotter than the gold of King Tut! Studebaker Research Center has uncovered the largest research project in American history. We have discovered the secret technology always talked about in Studebaker ads. Cleanest and hardest steel forged with oil from shale. Hardest seasoned wood lasting over 270 years. In colonial times, everyone used coal to fire foundry furnaces. More than 270 years ago, Peter Studebaker was the only person, to use oil shale to fuel his foundry furnaces that extracted iron from iron-ore to manufacture steel. By using oil shale extreme heat was produced to harden and strengthen steel. Today, major oil companies using the same natural resources are just beginning to understand how to separate oil from shale to develop gasoline. On Bakers Lookout, property Peter Studebaker owned in 1740, is the mother load of oil shale. This land was selected because of this very special resource. 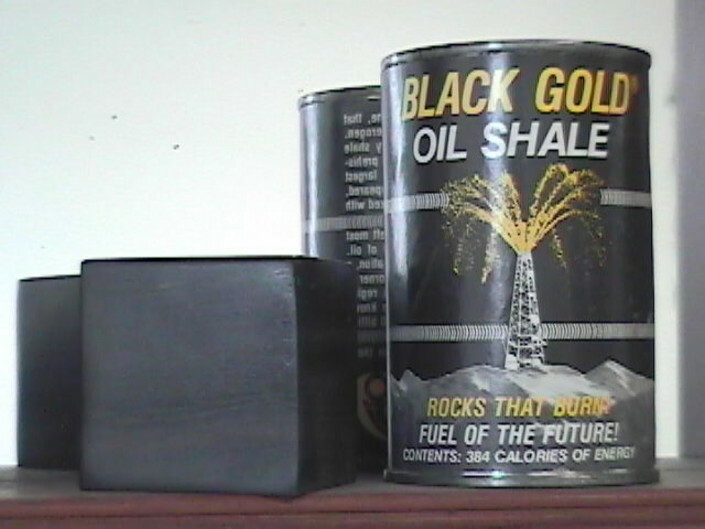 Oil shale is the "Secret technology" mentioned in Studebaker Ads. The bridge (background) is what Peter originally built in 1740 to transport him and his workers to the mill that was on the island in the middle of Conococheague Creek. Peter also owned a property on the other side of the bridge named Hopewell. 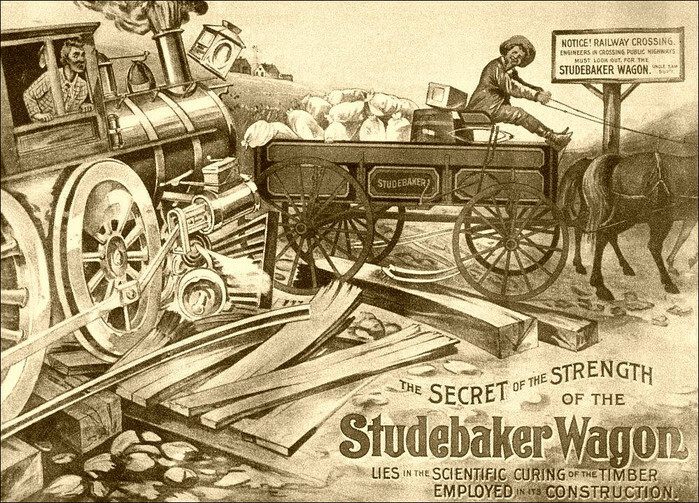 The advertisement above reads "the SECRET of the STRENGTH of the Studebaker Wagon LIES in the SCIENTIFIC CURING of the TIMBER, EMPLOYED in the CONSTRUCTION." The chestnut lumber used building 1740 Bakers Lookout was treated with oil shale 270 years ago (see the dovetails above). There is no shrinkage in the wood, normal wood would have shrunk leaving large gaps in the wood, but because of the advanced secret technology, the wood looks like the day it was cut for use in the home. This is so amazing. 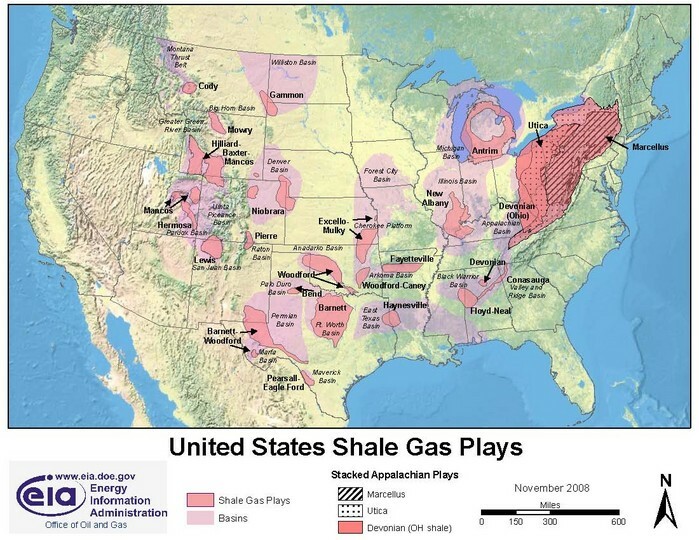 The map (above) shows oil shale in the United States. See the oil shale in Washington County, Maryland? The Studebaker Research Center, and the 1740 property named Bakers Lookout are in Washington County, Maryland. 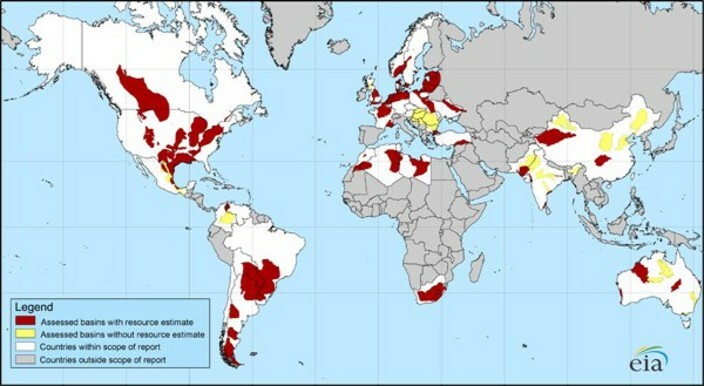 The world map (above) shows oil shale in the world. 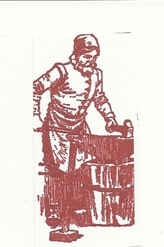 In Solingen Germany, where Peter Studebaker became a Master ironworker and Master of the Cutlers Guild, identical oil shale resources are also found. Oil Shale was the secret of the superior iron and metal work in both Germany, and then when Peter Studebaker came to this country, he brought the secret with him and found identical natural resources as those he used in Germany. Above is a depiction of how a 1740 mill would have looked. 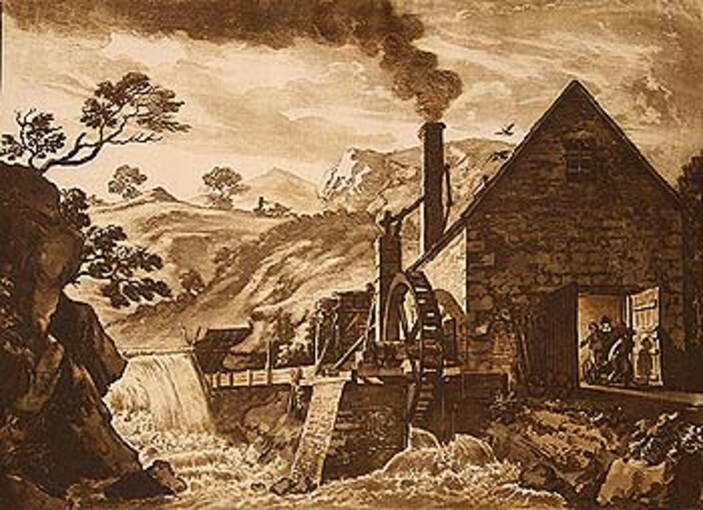 Notice the hydro-powered wheel and smoke coming from the chimney, and in Peter's case oil shale would have been burning. Oil shale burned hotter and cleaner than coal and would have created much more refined steel than iron created with coal and its by-product, carbon. Wood placed above the extremely hot oil-shale would have been seasoned with vaporized oil fumes and wood would have been ready to use in about 3-days as opposed as 3-years curing outside. Wood treated this way did not shrink, even 270 years later, wood that was treated with oil-shale looks as new as they day it was cut, and it is hard as a rock. This is proved in the house on Bakers Lookout, wood appears brand new but is 270 years old. What a wonderful secret Peter Studebaker brought to this country. Bakers Lookout, the frontier plantation Peter Studebaker built in 1740. Studebaker Research Center, discovered and uncovered the largest research project in American history, 270 years previously unknown that rewrites the industrial revolution’s beginning and the timeline of the transportation industry in America. The research, Rewriting History plugs the hole in history around the time period of the French Indian War. We hope you will read and enjoy Rewriting History. All the exhibits and proof tabs are evidence that the history is factual. In 2005 this house was purchased. When, through research and discovery, we learned about the history of this house, we realized this treasure needs to be shared with everyone. There are over 250,000 Studebakers that are alive today. This story is the documented history of Studebaker-Long family. © COPYRIGHT 2012 STUDEBAKER RESEARCH CENTER. No portion of this website may be reproduced without Studebaker Research Center's express written permission.